Professor John Rasko leads a vibrant, internationally-acclaimed research program involving cutting-edge gene therapy and stem cell biology, cancer, molecular biology and genetics at the Centenary Institute; as well as applied human cell therapeutics in state-of-the-art laboratories at RPA Hospital. Professor Rasko is a Haematologist who directs Cell and Molecular Therapies at Royal Prince Alfred Hospital and heads the Gene and Stem Cell Therapy Program at the Centenary Institute of Cancer Medicine & Cell Biology, University of Sydney. His was the first formal appointment in clinical gene therapy in Australia. Professor Rasko has a productive track record in gene therapy, experimental haematology and cell biology. His research has been successful in uncovering new mechanisms of leukemia, understanding blood hormones and their mechanisms of action, and clinical trials of new biological therapies for cancer and bleeding disorders. In 2004 he led a team that identified the gene for Hartnup Disease reported in Nature Genetics. Most recently he developed a milestone in gene therapy for haemophilia with collaborators in the USA, published in Nature Medicine papers. He has received many awards for medical research, teaching and public service. He serves on Hospital, Sydney University Medical Faculty, state and national bodies including the Gene Technology Technical Advisory Committee; and ARC, NH&MRC and Cancer Council Grant Review Panels. His laboratory at the Centenary Institute comprises 16 research staff including seven postgraduate students and four postdoctoral scientists. He is a member of the editorial boards of Pathology and The Journal of Gene Medicine and reviews grants for the Wellcome trust, NIH and other acclaimed institutions. Professor Rasko has authored almost 100 publications and with two colleagues recently co-edited a book published by Cambridge University Press on the ethics of inheritable genetic modification. 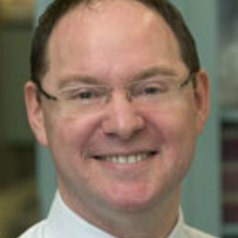 His current research interests include studies in haemopoietic stem cell mobilisation and transplantation; mechanisms of cancer causation involving the related transcription factors CTCF and BORIS; genetics of aminoaciduria; and experiments designed to ascertain the involvement of a new class of cellular regulators known as microRNAs. Professor Rasko has been continuously funded by the NHMRC and ARC since establishing his laboratory at the Centenary Institute and has been awarded well in excess of $5 million over the last five years in peer-reviewed grants. In addition to NHMRC project grants, funding is generously provided by the ARC, Cancer Institute NSW, Sydney Cancer Centre Foundation, Cell and Gene Trust, Rebecca L Cooper Foundation, Leukemia Foundation, Haemophilia Foundation, Cure Cancer Australia, Cecilia Kilkeary Foundation, Clive and Vera Ramaciotti Foundation and the University of Sydney.